Sniff Seattle, the Seattle area’s premiere dog walking and pet sitting service, is looking for new team members! Can you deliver exceptional service to our wonderful clients and their pets every visit? If that sounds like you, we want you on our team! We’re looking for passionate pet care professionals to join our crew of dog walkers. It’s a fun, part-time job working with dogs, getting paid to do something you’ve done for free. Pay is per walk. So more walks is a good thing. We’ll keep you busy — and you’ll get raises after six and 12 months! We need you Monday through Friday from 11:00 am to 3:00 pm. You must be available, responsible and punctual. Also, dog walking happens outdoors. So you’ve gotta be alright working in the rain or shine and hot or cold. Finally, you must love all dogs — and dogs must adore you! See our job requirements and apply by email only, please. Include your job history and references, and tell us about your previous work with pets. And a few words about who you are. Experience Previous work as a dog walker or providing professional pet care services. Honesty Impeccable references and background. A background check will be performed. Car Must have reliable car, plus valid driver’s license and car insurance. Phone Cell phone with texting is essential. Preferably with camera and email. Available Can work between 11am and 3pm Monday through Friday, and on some weekends. Seattle For our current openings, we’re looking for people who live in Seattle. 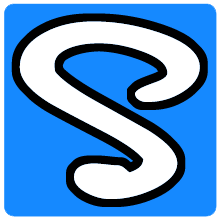 Working with Sniff Seattle is fun, independent, satisfying and rewarding! Apply today. 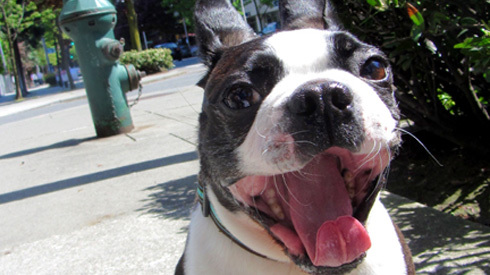 What could be better than strolling around Seattle with some of the best dogs in town? One Week Free From Sniff Seattle Dog Walkers! A “good morning” and a great deal! We have some news to share today. We’re kicking off an outstanding special offer for dog owners in Seattle, on the Eastside and in Shoreline. ONE WEEK FREE! We can’t wait to walk your dog! And to say, “Thank you for choosing Sniff Seattle,” we’re offering one free week of dog walking with two-month agreement for service. Save money and get the Seattle area’s premiere dog walking service? Yep! Are there any “catches?” Nope. Exceptional pet care. Affordable rates. Reliable, trusted and lovingly dedicated. Licensed, bonded and insured. That’s what Sniff Seattle is all about! The Seattle area’s premiere dog walking and pet sitting service continues to grow and expand. If you’re a passionate pet pro, we want you on the Sniff Seattle team! We’re looking for experienced pet care professionals to join our enthusiastic crew of exceptional dog walkers. As a team member, your fun job working with dogs will give you the potential to quickly increase your schedule — and earnings. Pay is per walk. So more is good! Most of your walks will be scheduled between 11am and 3pm, and happen outdoors (rain, shine or cold). You must be reliable, punctual and love all dogs! Plus, dogs must adore you. Apply by email only, please. Include your job history and references, and tell us about your previous work with pets (see the requirements below). And a few words about who you are. Seattle-Area Live in our service area from West Seattle to the Eastside to Shoreline. Commitment Can commit to joining our team for at least six months.